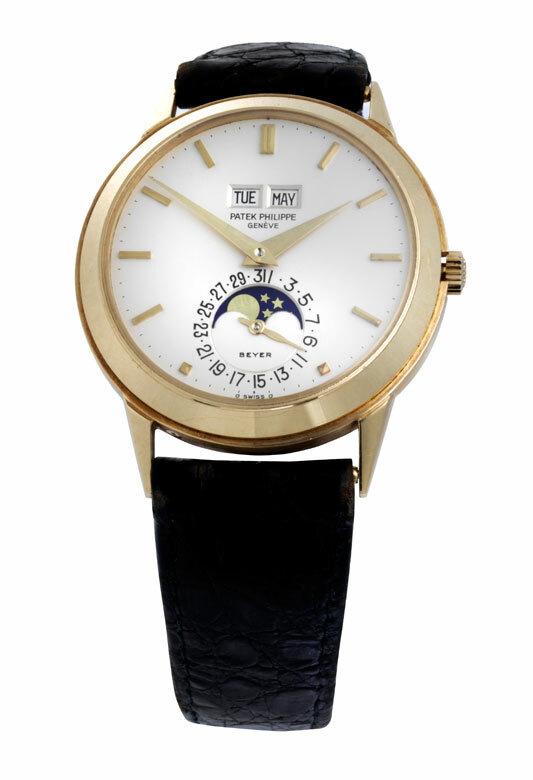 Extremely rare perpetual calendar by PATEK PHILIPPE in 18-ct yellow gold with sapphire crystal glass, reference 3448, 37 mm in diameter. 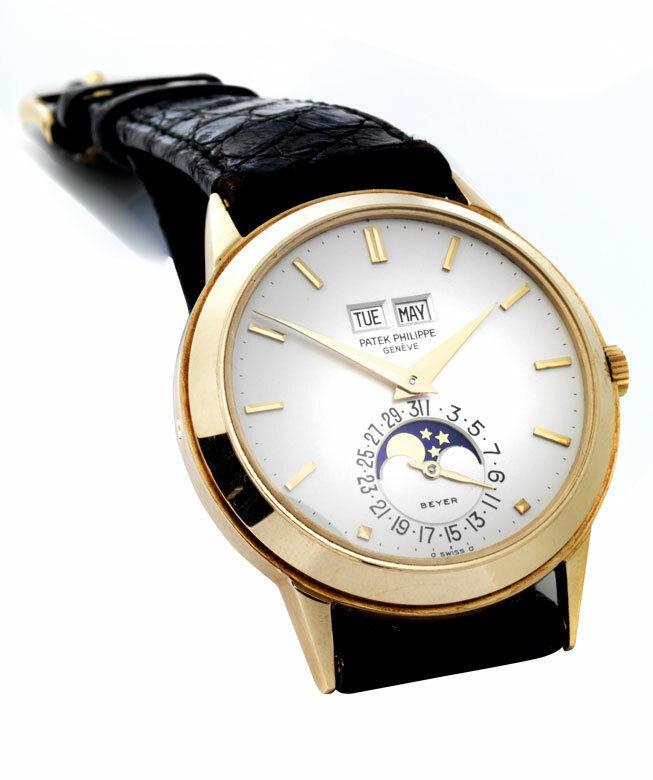 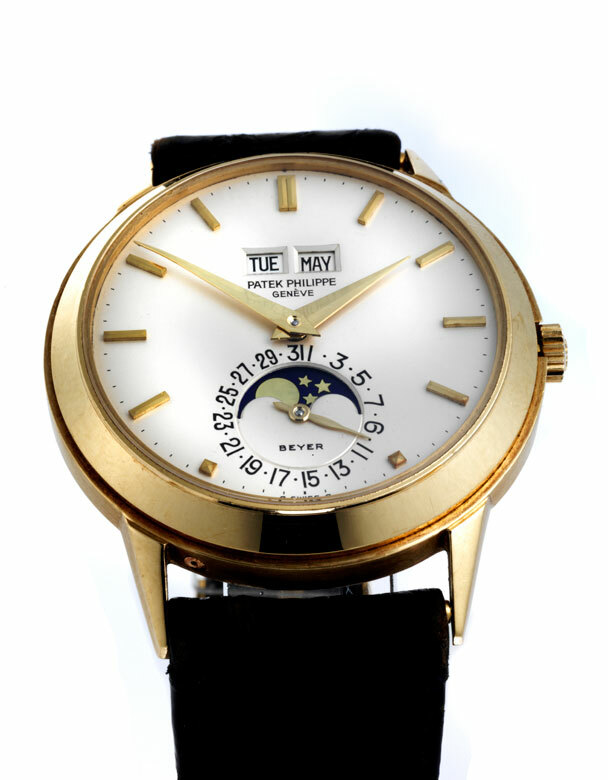 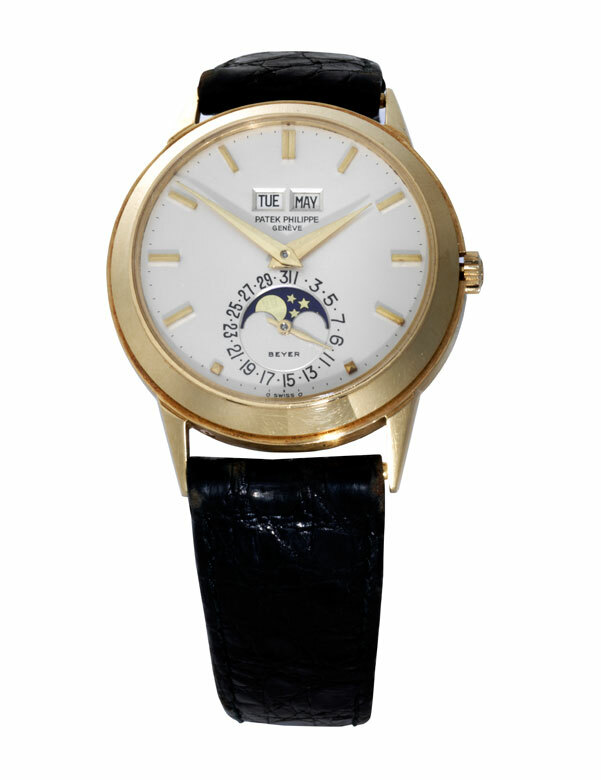 Silver dial with retailer signature “BEYER“ in Zurich, gold baton indices, dauphin hands and weekday, month, date and moon phase registers. 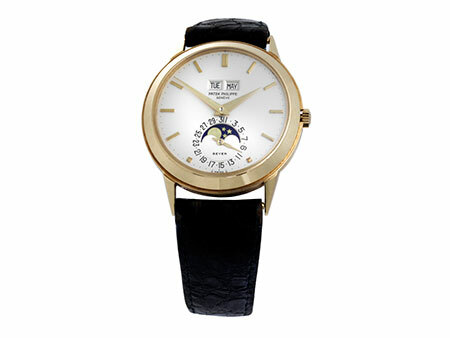 PP automatic movement, calibre 27-460 with gold rotor, with 8 adjustments with 37 jewels and Genevese seal, ca. 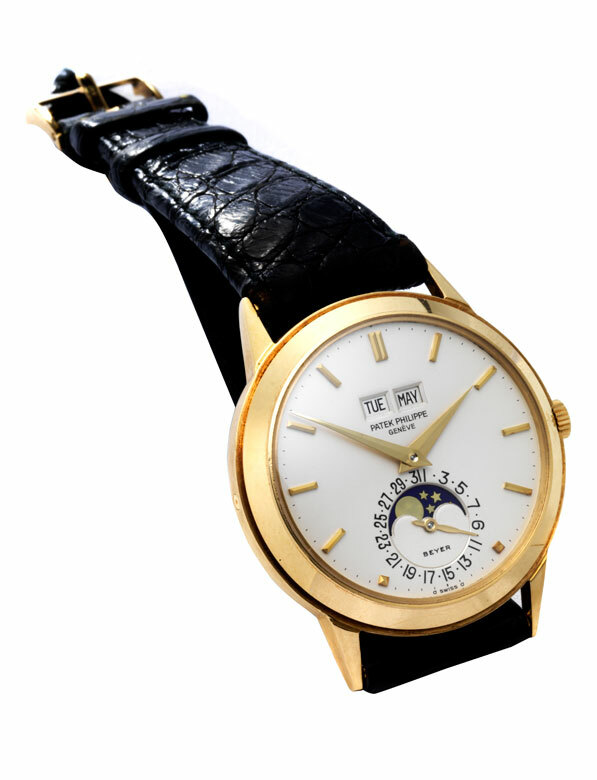 mid-1970s.